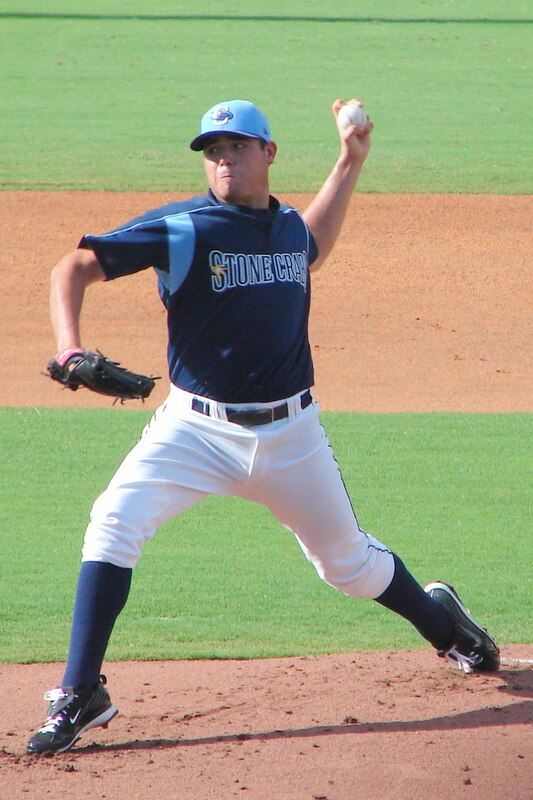 The Charlotte Stone Crabs defeated the Bradenton Marauders 3-1 on Friday night at Charlotte Sports Park. Matt Moore kept the opponent off the scoreboard for six frames. The Stone Crabs broke the scoreless tie in the bottom of the fifth. Isaias Velasquez drew a two out walk to put a runner on the bases. He then advanced to third on a single by Shawn O'Malley. Tim Beckham followed with a double to left to score Velasquez and O'Malley. Beckham would then score on single by Stephen Vogt to take a 3-0 lead. Bradenton would get their only run of the game in the top of the seventh. Moore walked Adam Davis, Moore's sixth walk of the game, before turning the game over to Mike Jarman. Erik Huber then hit a line drive to left, moving Davis to second. Greg Picart drove home the run with a ground ball to third that scored Davis. The Stone Crabs bullpen kept further runs from scoring to hold on for a 3-1 win. Moore picked up the win, pitching 6 1/3 innings and allowing 1 run on 1 hit with 7 strikeouts and 6 hits. Moore's one hit performance came against the Florida State League's best offense. Jarman pitched 2/3 of an inning, giving up no runs on 2 hits with a strikeout and a walk. Zach Quate recorded save number fourteen with a 2 innings of shut-out relief, allowing a hit and striking out 3. The Stone Crabs conclude the Independence Weekend series with the Marauders on Saturday night at Charlotte Sports Park. Nick Barnese (5-4) will get the start for Charlotte, facing Nathan Adcock (7-2) for Bradenton. So is it Hellickson, McGee, then Moore?